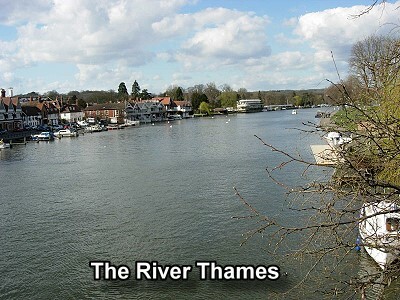 A river is freshwater flowing across the surface of the land, usually to the sea. Rivers flow in channels. The bottom of the channel is called the bed and the sides of the channel are called the banks. Rivers begin at their source in higher ground such as mountains or hills, where rain water or melting snow collects and forms tiny streams. 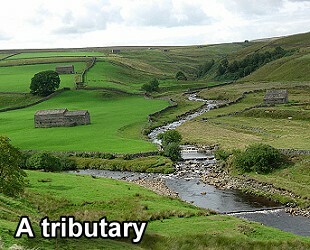 When one stream meets another and they merge together, the smaller stream is known as a tributary. It takes many tributary streams to form a river. The great majority of rivers eventually flow into a larger body of water, like an ocean, sea, or large lake. 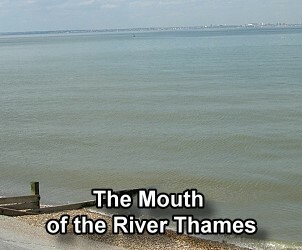 The end of the river is called the mouth. Most settlements were built along major rivers. Rivers provide us with food, energy, recreation, transportation routes, and of course water for irrigation and for drinking.